GoINDEEpMusic will be out at the Glass House in Pomona, CA tonight for an evening with Bloc Party. Tonight marks the British indie rock band’s first show since July 2013, in advance of their appearance at this weekend’s FYF Fest. The band recently resurfaced from a brief hiatus and have made major lineup changes. Gone are bassist Gordon Moakes and drummer Matt Tong. 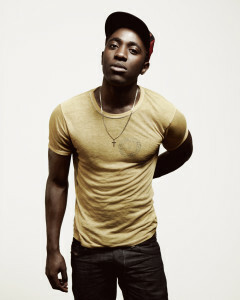 Still in place are frontman Kele Okereke (pictured) and guitarist Russell Lissack, who have had zipper lips on who is replacing the former members. The Gang Of Four inspired band is currently is working on 15 new songs for their forthcoming fifth studio album. The group’s 2005 debut effort Silent Alarm was named by this blog as the Best Album of the Zero’s Decade. I’ll be curious to see who else at the show besides me will be discussing the band’s hiatus. The Los Angeles alternative rock band The Active Set will provide support. Here’s a tune we better hear tonight. MEW – North Park Theatre – San Diego – Tonight!